There's a distinct advantage to choosing a general contractor who also happens to be an expediter. It means that your building permits and certificates of occupancy are going to be pushed through with lightning-fast speed, getting you immediately started on your construction project. 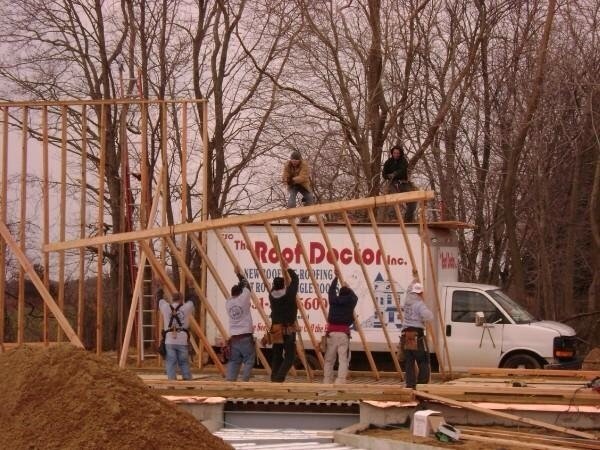 With over 20 years of experience in building and remodeling, Terence Connelly knows the general contracting industry on Long Island. Moreover, he also knows the in's and out's of the Suffolk and Nassau county building departments. Roof Doctor / Home Doctor are residential and commercial roofing specialists who also offer fast, friendly contracting services. From beginning to end, Terence Connelly can help you design, plan, draw up, and execute whatever additions you have in mind for your home or building. Associated with every aspect of the building process; from permit application and planning to the final finished product, Home Doctor is committed to the highest quality and customer service in the industry. No project is too great or small for Home Doctor contracting. From decks, sheds or garage conversions all the way up to the entire redesign of existing floor plans, you can rest assured your project will be completed in a timely fashion and with the utmost attention to detail. The expert consultation you'll receive from Terence Connelly can also help redesign the interior of your home, whether you're redoing a bedroom or bathroom, adding a sunroom, or just need to change around your living space. Before beginning any home project, call The Home Doctor at 631-281-0111 for a free building consultation. Fully licensed, insured, and backed by over two decades of experience, the professionals at Home Doctor are ready to help you realize and accelerate your next building project!